Shredded cabbage, carrot, onion and chive in a crème fraîche mayonnaise. Charlotte potato, onion and spring onion in a crème fraîche mayonnaise with chives. Free range egg & crème fraîche mayonnaise. Delicate chives. Keep refrigerated. 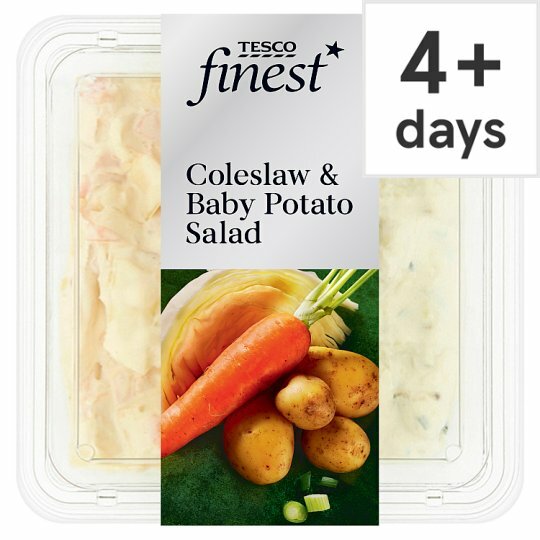 Once opened consume within 2 days and by 'use by' date shown. Shredded cabbage, carrot, onion and chive in a crème fraîche mayonnaise. Charlotte potato, onion and spring onion in a crème fraîche mayonnaise with chives.